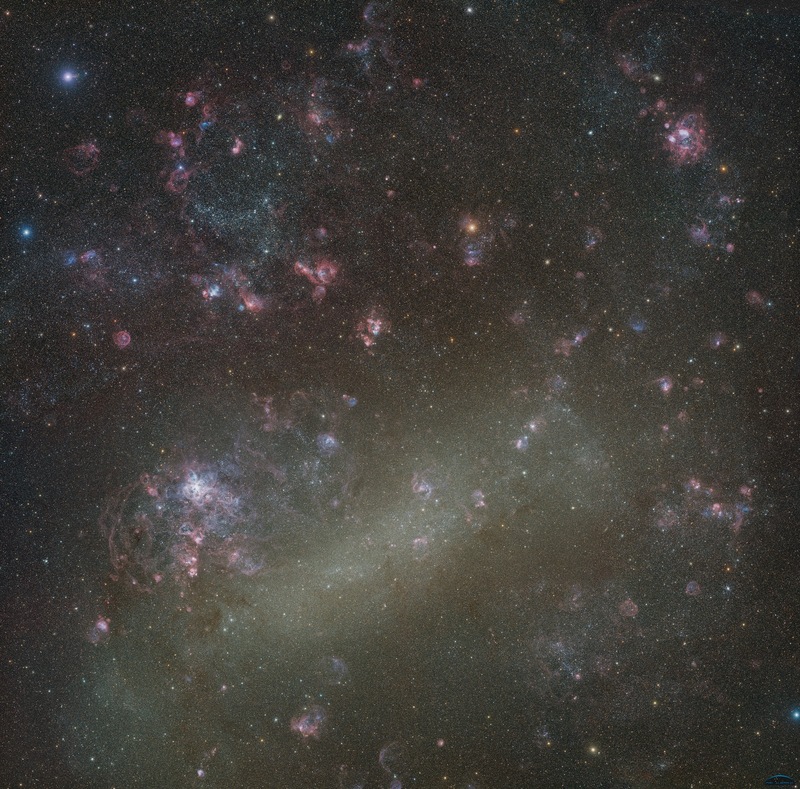 P1060-hour-exposure in the Large Magellanic Cloud, in SHO colors. Taken by "Ciel Austral". The image is a mosaic made of 16 smaller fields of view, which, once stitched together form a high-resolution image of 204 Million of pixels! 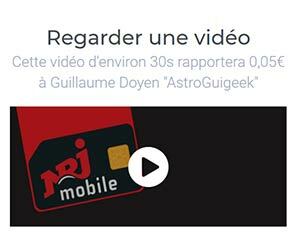 As of matter of fact, this is not the work of a single person but of a team of five french amateur astronomers called "Ciel Austral": Jean Claude CANONNE, Philippe BERNHARD, Didier CHAPLAIN, Nicolas OUTTERS et Laurent BOURGON. 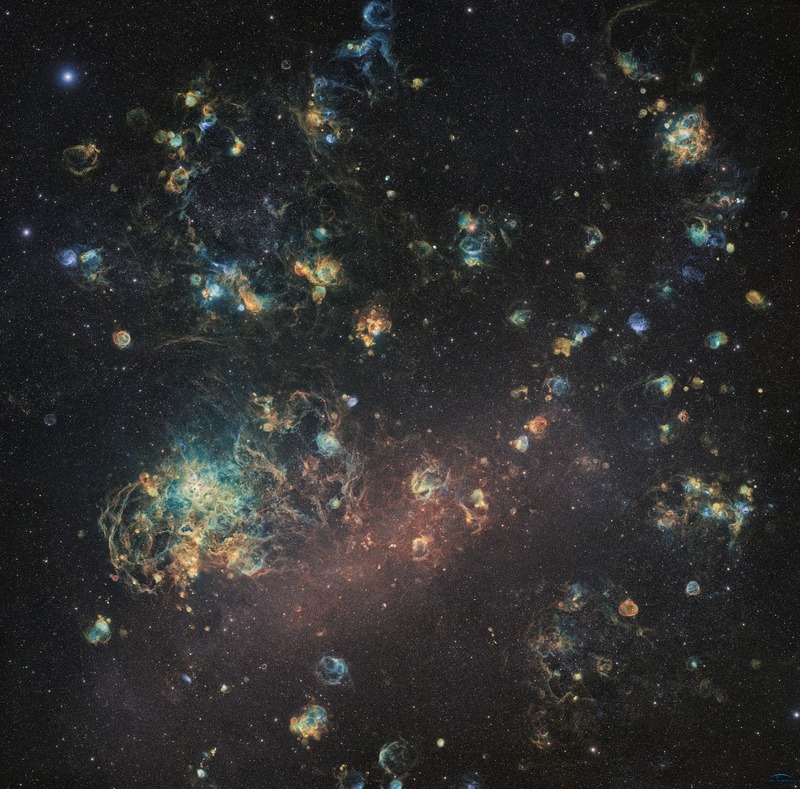 Picture of the LMC in RGBHaO color rendering, taken by Ciel Austral team. An extraordinary achievement! Just one note: there seems to be some incorrect processing and/or compositing of the image in the area around (14100, 3850), where there's a small blue nebula. You can see a double-image of the nebula, as well as double-images of nearby stars. Thank you so much. So many people are looking at this and experiencing almost a transcendental awareness of our Universe.